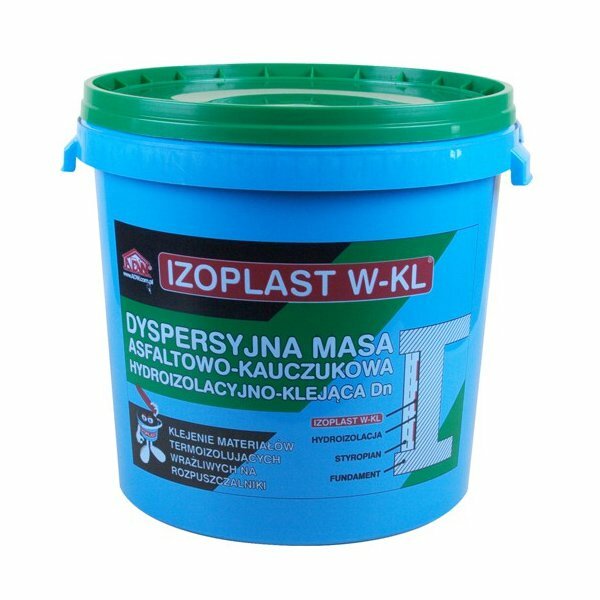 The Izoplast W-KL waterproofing and caulking compound is designed for waterproofing coatings and for: gluing hard EPS or XPS foamed polystyrene boards, mineral wool for jointless, lightweight anti-moisture coatings, priming the substrate. For use on cold outside and in non-residential indoor spaces. Do not use on tar tar paper and substrates covered with tar materials.